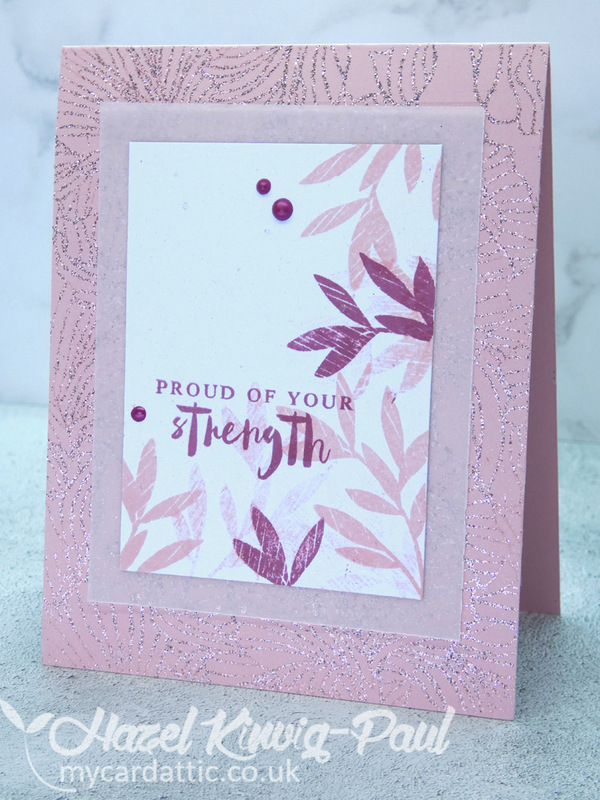 A friend of mine is going through a tough time at present and I was thinking of her when I created this card as she is being amazingly strong. 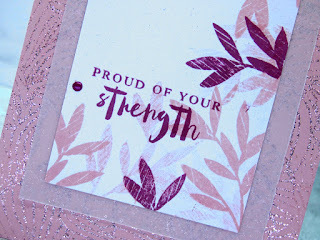 First, I stamped the background on to a pink card base, then I sprinkled on WOW 'Sugar Plum' embossing powder - which was amongst a great stash of products that was a blog candy win from my blogging buddy Veerle. Her blog can be found HERE. I heat set the EP and it was full of glittery goodness . . . so pretty! Next, I stamped the focal piece and adhered it to a piece of vellum that was slightly larger than my focal piece and adhered it to the card front. 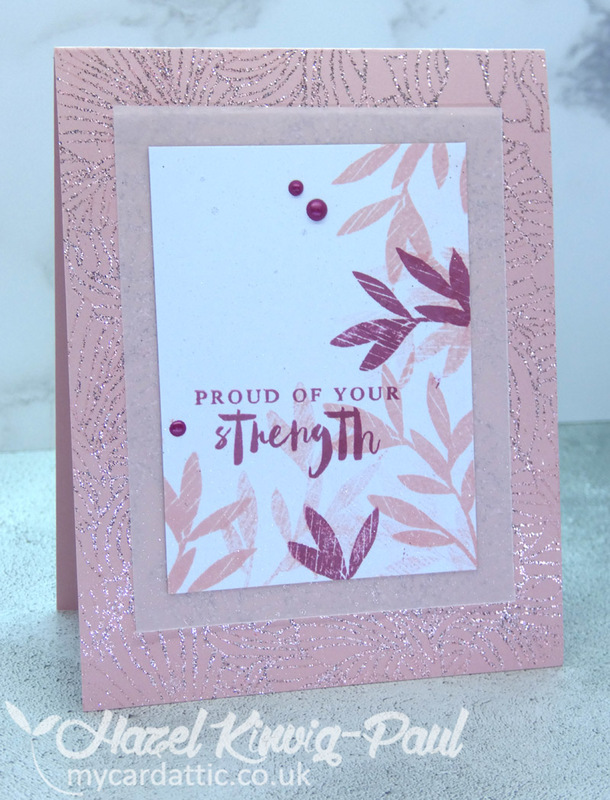 I finished off with some Nuvo pearl drops and this is the finished card. lovely card, Hazel- your friend will surely love and appreciate it. 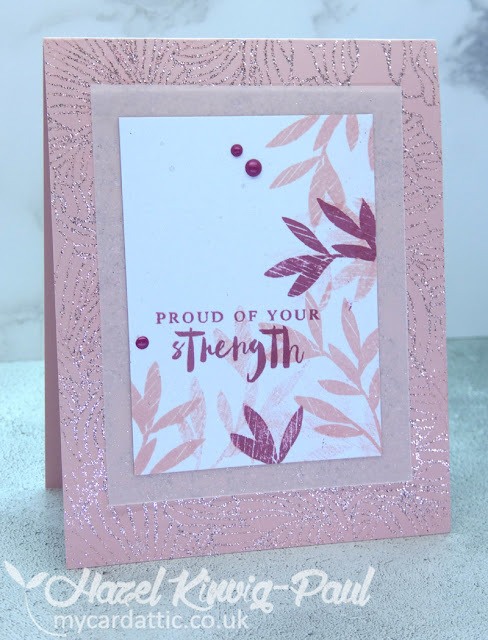 Super card Hazel, love that glittery goodness on the cardbase. Fab design. This card is so lovely, Hazel. It will brighten your friend's day and bolster her spirits. What a good friend you are! 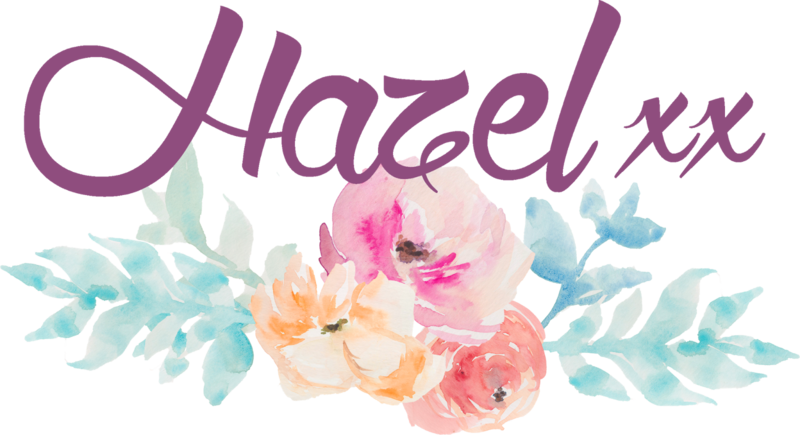 This is so pretty, Hazel! I love the sparkly, embossed background that is the perfect frame for the pretty stamped design! The bit of vellum adds extra texture! Just lovely! Lovely color combo and card! A great card for a great person! Kisses, Hazel! 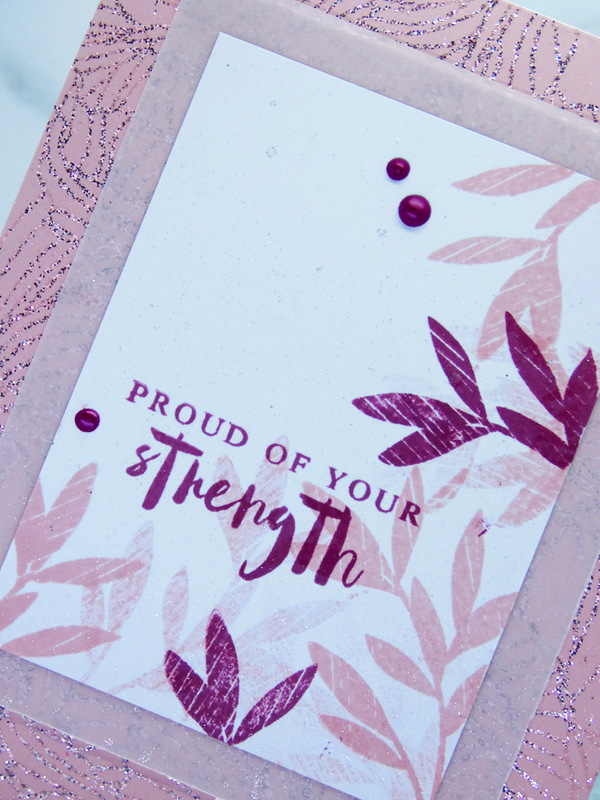 This wonderful card must have made your friend's day! Love the sparkly background, the soft colors, and the sentiment!